UPDATE: My 11/14/15 blog item, And he scores! Amazon scrubs "sock puppet" five-star book review by prominent Yale professor, author, columnist. 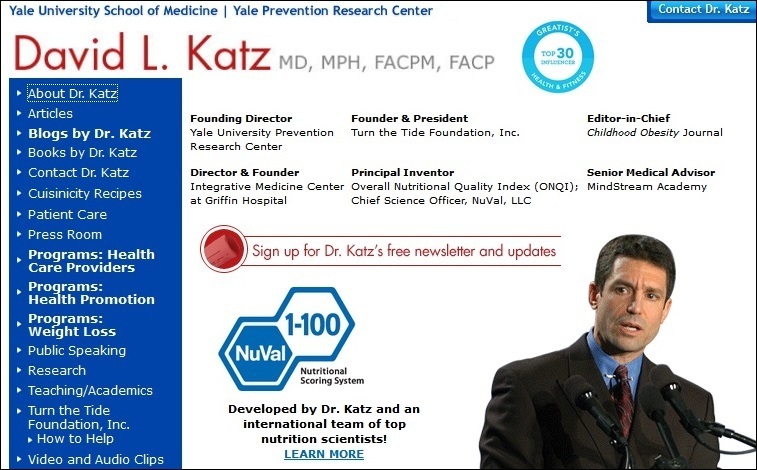 11/4/15 UPDATE: Katz faces criticism for book review, deep-reported article (based on my blog item below) by Yale Daily News staff reporter David Yaffe-Bellany who got strong quotes from a variety of sources. It's no secret that Amazon.com attracts shill book reviewers. In Spring 2010, a couple of years before her death, my mother Jane Heimlich's memoir was published. 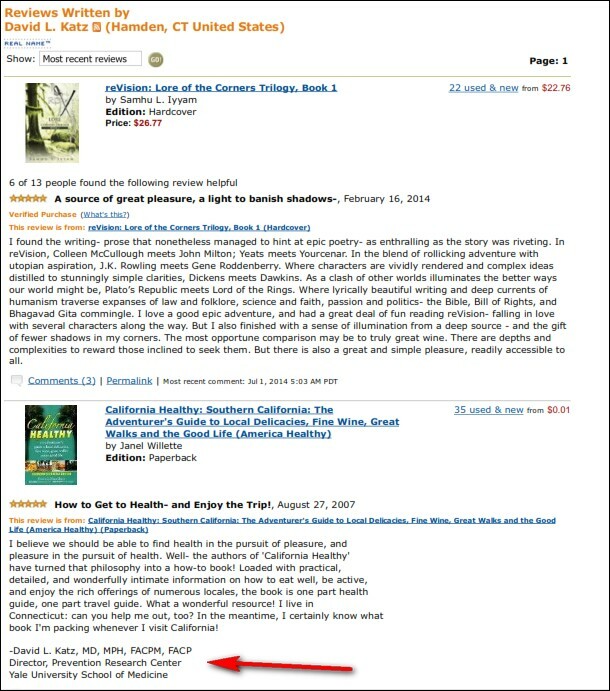 I caught a Clearwater, Florida press agent posting dozens of glowing 5-star shill reviews on Amazon.com for my mom's book and for scores of other authors she represented. That turned into Scamazon, a three-part story I reported (sans a byline) for the now-defunct Cincinnati Beacon (Part I, Part II, Part III) that was picked up by other media outlets in the US (click here, here, and here) and France (click here). The Clearwater publicist's Amazon account was deleted and the Public Relations Society of America issued a two-page ethics statement. Then last year I reported The Shill is Gone about how I caught my father's New York publicist posting glowing Amazon reviews for his memoir and for books by other authors she represented. After I brought the information to Amazon, they scrubbed her reviews. I think I've got another one, this prominent Yale MD/professor/author. He's also a longtime Huffington Post columnist and for years he's had a weekly column in the New Haven Register. I'm blogging an item about what may be a problematic book review posted on your site. I'd appreciate you reviewing the following information and answering two quick questions. 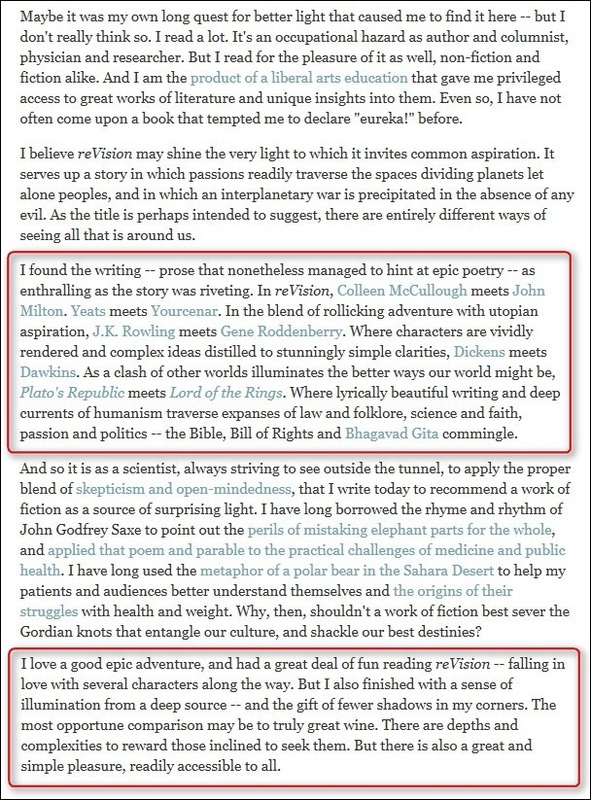 Here are screenshots I just took from a February 18, 2014 Huffington Post column entitled To See By Common Light by David Katz MD -- red rectangles added by yours truly. The red-lassoed text above is identical to the Amazon review published two days before. Therefore, Amazon user David L. Katz may be Huffington Post columnist David L. Katz MD, a prominent author, physician, and professor at Yale. Here are my questions. Would you please determine if the reviewer is Dr. Katz? And if so, does his Amazon review of reVision comply with your company's guidelines? Thanks for your time/consideration and I look forward to your reply, preferably by Tuesday, October 6. If you need more time, please advise and I'll do my best to accommodate. 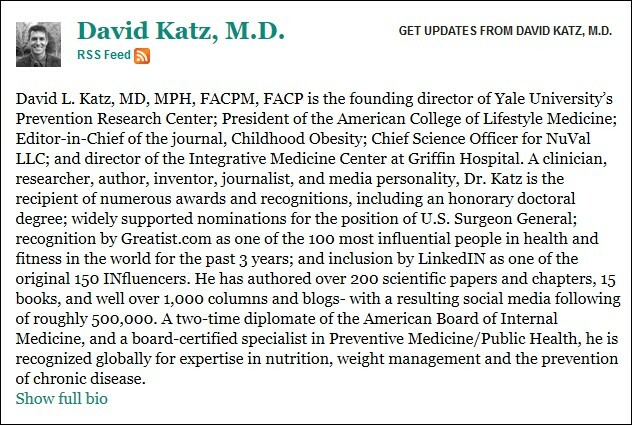 Finally, in his February 18, 2014 Huffington Post column praising reVision, Dr. Katz didn't identify himself as the book's author. That fact was added on April 1, 2014, apparently by the HuffPo. 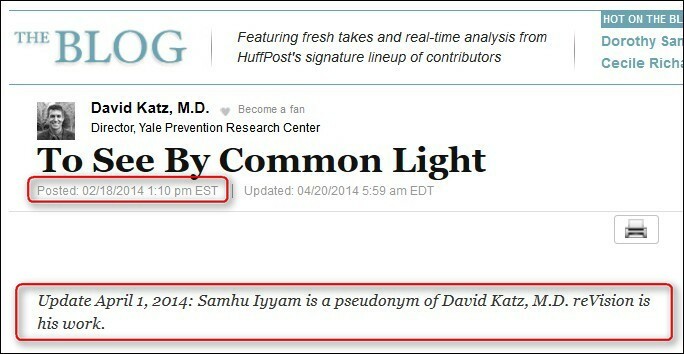 When and how did the HuffPo learn about the apparent deception and who appended his column? And considering the apparent deception, should the column have been retracted with an explanation? I'll ask the HuffPo and will report the results. Ethically, whether or not David Katz the Amazon user is revealed as David Katz the Huffington Post columnist, it’s hard to imagine how a doctor and university professor could sink any lower. A click here led me to the reviews page for Amazon user David L. Katz. In his review for another book, he settles the matter. Big hat tips to Dr. Jason Fung for tagging the HuffPo column, to Low-Carb Barb for catching the Amazon review, and to Dean Sterling Jones for joggin' my noggin.